July 6th 2014 - WINGS Fellow Sabriye Tenberken was recently featured in National Geographic's Innovators Project which showcases people who are transforming the world through provoking and educational creations. This detailed profile featured online highlights Teneberken's major achievements, such as her founding of the kanthari school in southern India, and her founding of Braille Without Borders in Tibet. Both incredible achievements are centered around Tenberken's commitment to helping others turn "disabilities into possibilities." 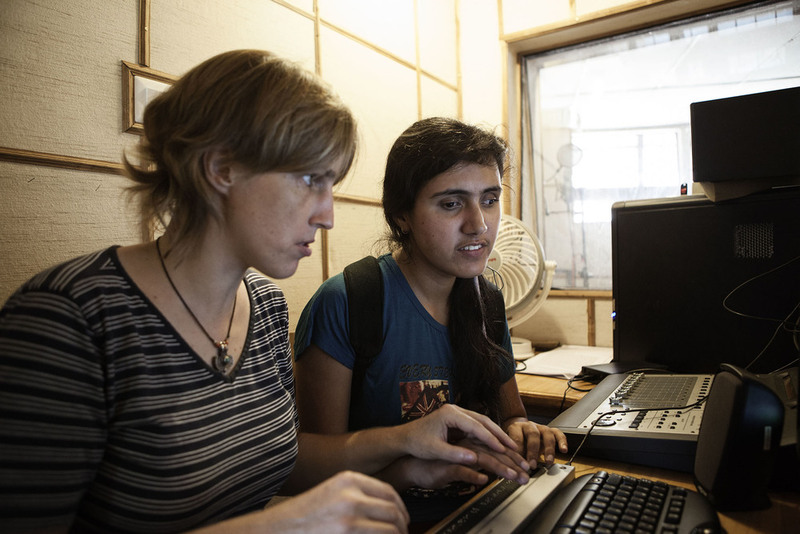 Through a combination of vocational training and academics for students from all over the world who have overcome personal adversity, kanthari and Braille Without Borders are addressing profound challenges. Led by Sabriye Tenberken, Braille without Borders focuses on educating blind children in Tibet to speak, read, and write in Tibetan, English and Chinese while also providing students with the skills they need to lead more independent lives. The most recent newsletter highlights remarkable achievements in the installation of a solar LED lighting, a significant textbook donation, and graduates who have been successful post-graduation. kanthari continues to be extremely active in supporting students who have overcome different types of personal challenges or physical disabilities. The most recent newsletter highlights the exciting work of 12 kanthari graduates in Africa which are making remarkable impacts on their communities. One example is Jane Waithera, who fights against the discrimination against and the killings of Albinos in Kenya and Tanzania. Two kanthari 2013 graduates, Tomasz Kozakiewicz and Marijn Poels, are working on a documentary of the projects that other kanthari graduates have started which will be released in the summer of 2015. Click here for the link to the 5 minute trailer!